On May 10, 2001, gas belched from the 22-inch drive pipe of the well, located one slot south of the well. There were no gas bubbles coming from the well drive pipe at this time. However, in the ensuing 15 minutes, gas bubbles were observed around other wells at the water line. 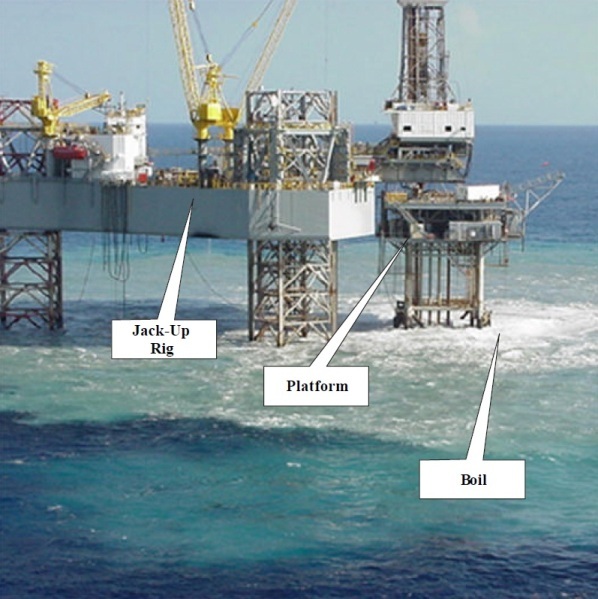 Within an hour, all 57 personnel on the rig and platform were safely evacuated. The flow eventually ceased, and the rig was re-manned on May 12, 2001. Attempts to salvage the well failed, the well was successfully plugged, and the rig was released on June 16, 2001. The well where the incident took place was to be the last of the seven-well program to be drilled by the MODU from Platform A. In all, 23 wells, including sidetracks, have been drilled from this platform. 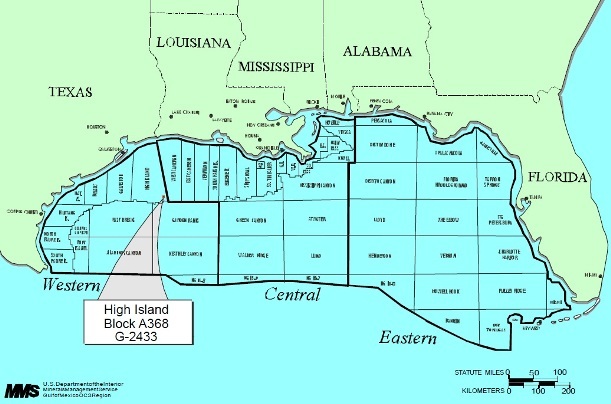 The bottomhole location for the well was planned to be located in High Island Block A-351. However, because of the blowout, the well was terminated with the final bottomhole location in High Island Block A368. Because of the high angle of this hole, there were no plans to reciprocate the surface casing while circulating and pumping the cement job. A TIMCO fill-up and circulation tool was employed to keep the casing full of mud and to circulate while the casing was being run. After circulating one casing volume, the TIMCO tool would then be laid down. The cement head would then be nippled up on the casing and the cement job would be pumped. The fracture gradient at planned surface casing depth was too weak to support a full column of tail slurry that would extend above a shallow gas sand. Only the lead slurry would cover the sand and extend to the surface. The original well, was plugged, and a mudline sidetrack, was initiated. Drive pipe was driven and the conductor casing was set and cemented after four attempts because of tight spots. The 12¼-inch surface hole was drilled and opened to 17½ inches without any significant incidents. A shallow gas sand was penetrated in this well. The surface casing was run to depth on Tuesday, May 8, 2001. A TIMCO tool was used to keep the casing full of mud while running and to circulate bottoms up immediately after the casing was run. The top of the last joint of casing was several feet above the rig floor. The top drive became inoperative because of the failure of an electrical relay in the top drive control panel. The relay was bypassed, but the top drive still would not function. Approximately five hours were spent troubleshooting this problem, during which time mud was circulated. The TIMCO tool could not be removed without use of the top drive because of the elevation of the last joint of casing. After the top drive was back in service, the TIMCO tool was removed from the casing and the cementing head was installed. On Tuesday, May 8, 2001, at 0614 hrs, cement lines were rigged up and pumping of the cement began. During the cement job, returns were lost for approximately 10 minutes when the cement reached the casing shoe. Cement returned to the surface 72 barrels earlier than anticipated. The cement job was completed at 0930 hrs on Tuesday, May 8, 2001. Five hours after pumping, at approximately 1430 hrs on Tuesday, May 8, 2001, cement was washed out to 130 ft from the annulus between the surface casing and the conductor casing. At that time, a slight flow began and the diverter was shut in. The motor vessel Dakota was called to the rig when this problem was first noted and arrived on location at 0230 hrs on Wednesday, May 9, 2001. Pressure built up to 250 pounds per square inch (psi) within an hour and later to 470 psi and then to 560 psi. Shortly, bubbles were noticed between the rig and the platform. Lines were rigged up to bleed the casing pressure through the choke manifold, and gas was bled from the annulus six times at 5-minute intervals. These efforts failed to bleed off the casing pressure. Beginning at 1800 hrs on Wednesday, May 9, 2001, 11-ppg mud was lubricated into the casing. The plan was to pump mud into the annulus until pressure reached 750 psi, wait, and then bleed gas until the pressure decreased to 560 psi. After 12 hours, 23.5 barrels (bbls) of mud had been lubricated. from the annulus between the drive pipe and conductor casing of Well A-10. No activity was noted on the A-5 ST drive pipe. All production operations were shut in. The bled from the annulus bubbling increased to a boil between the rig and the platform, and the rig was fully evacuated by 0900 hrs on Thursday May 10, 2001, some 45 hours after the cement job. The Lake Jackson District Office was notified at this time. The uncontrolled gas flow also caused a boil around the entire platform. The platform was monitored, and flow had greatly diminished by 1700 hrs, Friday, May 11, 2001. The M/V Seawolf arrived on location with a remotely operated vehicle (ROV). At 1900 hrs the ROV performed an underwater survey around the rig and found no signs of gas. The rig was re-boarded (by well pressure control contractor and essential personnel) at 0900 hrs on Saturday, May 12, 2001. A pressure of 240 psi was noted on the 13⅜-inch by 18⅝-inch annulus of the Well A005 ST01. A noise and temperature log was run, indicating that flow was coming from the previously mentioned shallow gas sand. On Sunday, May 13, 2001, a second noise and temperature log indicated that flow from the sand had subsided. A sector bond log was run and confirmed that no cement bond existed behind pipe above the sand. On Wednesday, May 16, the surface casing was cut with a saw, slips were installed, the diverter was removed, and blowout preventers (BOPS) were nippled up. On Friday, May 18, 2001, the surface casing was perforated above the sand. The first cement squeeze was performed and all bubbles around the platform ceased. The ROV indicated that there were no gas bubbles at the mudline. During the period from Saturday, May 19, through Saturday, May 26, 2001, the casing was successfully squeeze-cemented through even shallower perforations to ensure isolation of the annulus. Operations were begun to salvage the well by drilling out of the surface casing. A hole was found in the casing above the sand. Six unsuccessful attempts were made to squeeze cement into the hole. During washing out below the hole with a watermelon mill, the drill pipe became stuck and was backed off. The well was permanently plugged with casing removal delayed pending platform removal. The rig was released on June 16, 2001. There were no fires, explosions, fatalities, injuries, significant pollution events, and no reported significant equipment damage as a result of this incident. There was an undetermined loss of hydrocarbons (natural gas) as a result of the uncontrolled flow. The blowout began on Tuesday, May 8, 2001, with plugging operations being completed on June 14, 2001. Total rig time lost because of the blowout of the well was 37 days. The incident investigation report concluded that the source of the gas that flowed through the ST A-5 surface/conductor annular region and the gas that flowed to the seafloor is the previously mentioned shallow gas sand. Although the squeeze cementing of the annular region coincided with the cessation of the sea boil, the definite mechanism(s) by which the gas flowed to the seafloor is not known. Platform and rig during gas flowto seafloor. Normal operating practices were followed during drilling of the surface hole, and the hole was drilled with adequate mud weight. The density and pressure regression properties of the cement led slurry are considered to have been a contributory factor. formation of a channel while the cement was pumped. The delay in pumping cement into the surface casing of Well A-5 may have contributed to the formation of the channel. A loss of well control did not occur on Wells A-7 and A-10, where cement was pumped much sooner after landing the surface casings. The loss of returns when the cement reached the casing shoe indicates a fracture of the formation. This may have contributed to formation of the channel. Well A-5 may have penetrated formations more susceptible to washout and lost returns than Wells A-7 and A-10, since Well A-5 was closer to Well A-3 than Wells A-7 and A-10 at the aforementioned shallow gas sand. The delay in cementing the surface casing may have resulted in a channel. This delay was caused by the difficulty in removing the TIMCO fill-up circulation tool from the casing. The explosion prevention timing system de-activated the top drive. This problem required an extended period of time for troubleshooting. The loss of head resulting from washing 130 ft of cement from the 13⅜-inch by 18⅝-inch annulus would not have caused the incident. The decision to lubricate mud into the annulus to stop the gas flow prevented any gas from actually reaching the rig floor. Not lubricating mud into the annulus could have resulted in potentially catastrophic consequences. The evacuation of personnel from the rig was conducted safely and efficiently. 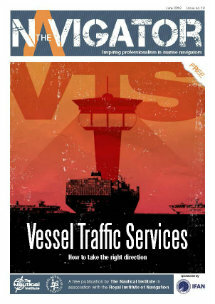 Summoning of the work boat when the problem was first noted eliminated or at least greatly reduced the risks associated with transferring personnel to and from the capsules.